The Kalita Wave has fast become my favorite and preferred method of hand brewing my coffee. Not only does the Wave produce a rich and well rounded flavored cup of coffee, but it does so with such an incredible ease of use. If I want to, I can get really into the techniques of my Kalita and play around with variables. But, first thing in the morning I need a brew method that takes little brain power and coordination. The Kalita Wave is the sweet-spot for me. You can be as imprecise as simply adding your coffee, and pouring your water until done. You'll still get one of the best cups of coffee you can make (provided you follow standard ratio guidelines). Without further ado, let us dive into making a great Kalita Wave – along with some tidbits and advanced brewing tips. The Kalita Wave comes in two sizes, labeled the 185 and the 155. For my brewing guidelines here, I will be advising you on the 185 Kalita Wave. Since you can brew as little as a cup on the 185, I don’t see a reason to get the 155, as the 185 will give you the versatility to brew more. Be mindful that you will need to get the special Kalita Wave filters associated with the appropriate size. All you need to do is set up the vessel you are going to brew in, sit the Wave holder on top, and then add your filter. Kalita Wave paper filters are thin enough that they don’t need to be rinsed. 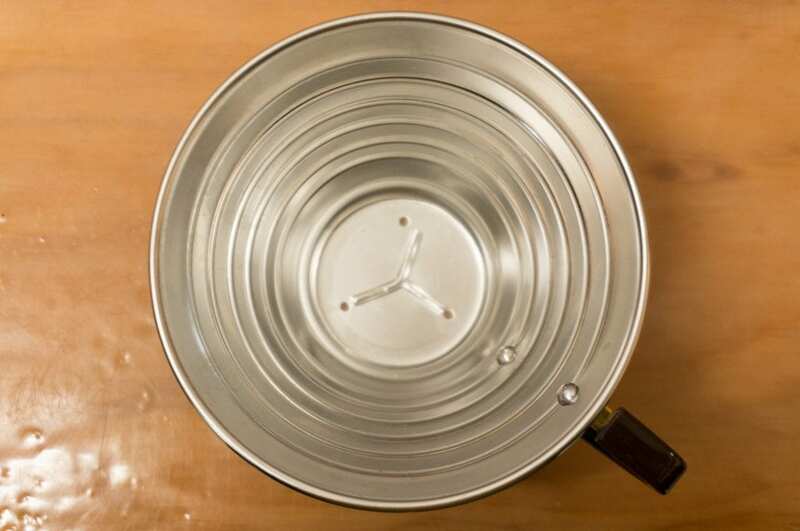 If you do wish to rinse, it is best to do so by pouring slowly, directly into the middle, and not along the waved edges as you will deform the filter shape. Also, set your water to heat at this point. If you are inclined to measure the temperature of your water, aim for 202-205 degrees. Otherwise simply boil a kettle and then set it off the heat for a moment. You really don't need to worry about “burning” your coffee in pour-over methods, but you also don't want the water dropping below 202 degrees. As always, it is recommended that you use filtered water. Step 2: Grind and add your coffee. Recommended range of 24-32 grams of coffee. Grind size in brewing is an important consideration. 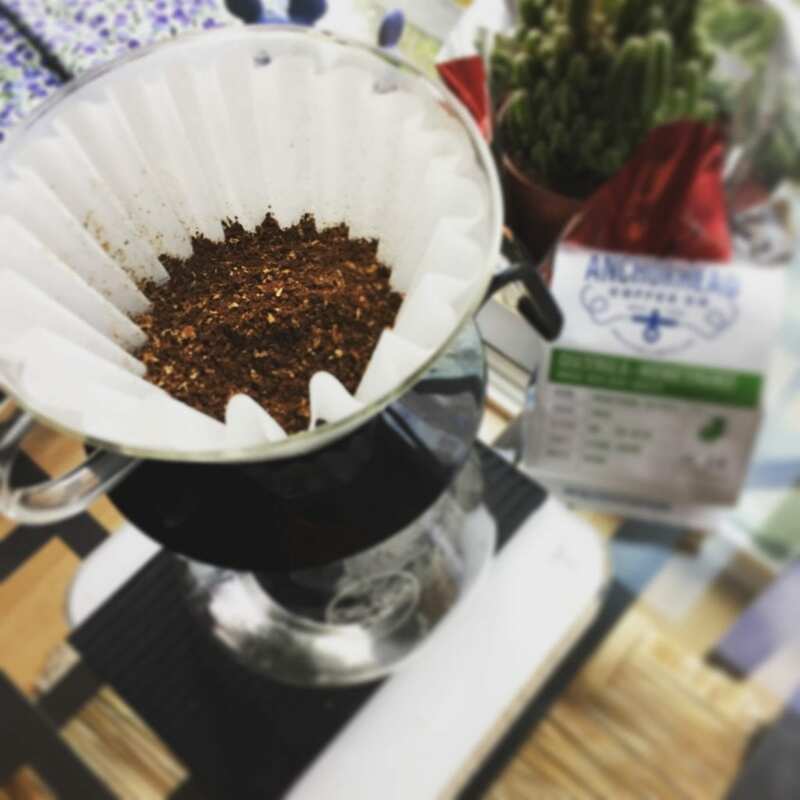 The standard approach for Kalita Wave is to grind medium, and then adjust from there. The wave does give you some ability to manipulate the grind size for a different effect, but that ability is limited by the geometry of the brewer. In other pour-over brewers, like the V60, you can use the size of the grinds to change the rate of flow of water going through the grounds. This influences extraction of the taste and aroma compounds in the coffee. Finer grind means more surface area for the coffee to be extracted by the water. Start with a medium grind, and then figure out if you wish to adjust the strength of flavor (increase the flavor intensity by grinding finer). Changing the grind size will affect multiple taste factors, so it’s best to not change anything else while fiddling with your grind size. The ratio of course also makes an impact. For the Kalita Wave I enjoy a 15:1 – 16:1 ratio. That’s water:coffee. So for every gram of coffee I use, I’ll add 15-16 grams of water. Doing your entire brew on a scale makes everything simple. I find that the 185 Kalita Wave brews very well between 24-32 grams of coffee. I’ve gone down to 14 grams and up to 36 with no problems as well. Note, at the extremes you have brewing dynamic challenges due to the amount of space available. Step 3: Beginning the Brew – The Bloom. The Bloom is the common practice of adding just enough water to wet the grounds. The dry coffee absorbs water, expels c02 and the bed rises (‘blooming’). There is not much science to support this having an effect on brewing. I personally observe more flavorful brews when I allow the coffee time to bloom. The logical conclusion is that the expelling gas can interfere with the even extraction of coffee. My typical practice for a bloom involves letting the coffee to sit and ‘bloom’ for about 30 seconds after adding the initial water. Usually instead of timing though, I’ll just watch the coffee bed. As it’s blooming, you’ll see the coffee swell, and then bubbles will come up and pop through the surface. That may happen for a short period. Eventually (usually after about 30 seconds), the last bit of C02 will release and then coffee bed will relax down. At this point is when I continue brewing. 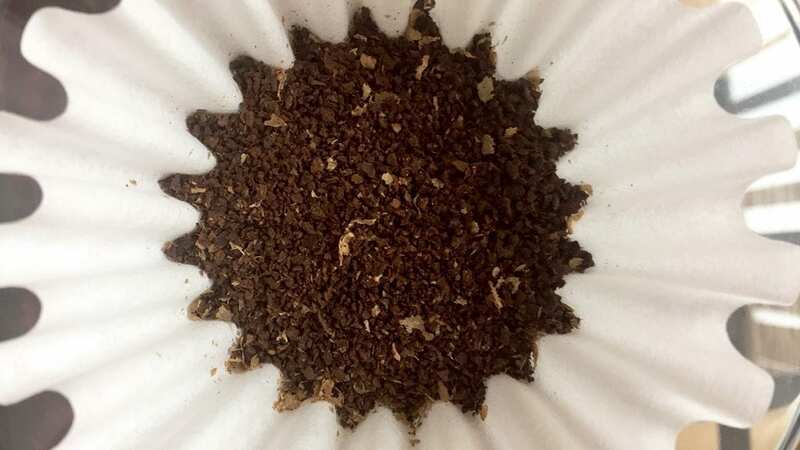 I have discovered when using the Kalita Wave that extending the bloom time dramatically can provide some interesting results. By accident one morning while preparing my coffee, I became distracted working on something else. 5 minutes later, I realized I never finished brewing my coffee, and had just left it to bloom. In a rush, I quickly finished my brew. Upon tasting the result, I was surprised to see more brightness and a bit more richness out of the cup than usual. I can’t tell you why I get that result. This long bloom technique isn't something I always do – though I’ll always do some kind of bloom, it’s usually in the 30-second range. Just to test, on occasion I won't bloom. The taste result is always more enjoyable with some kind of bloom (whether it’s sweeter, richer, brighter, or just with more clarity). At this point, you simply pour in the rest of your water. Depending on how much ground coffee you use will dictate how much water you brew with, and approximately how you add the water. If I’m doing my regular brew of 32 grams of coffee, I’ll fill the wave up to about 1 cm from the top of the filter, then let it drip down a bit, then add more. I’ll continue this until I’ve added all my water (for 32 grams of coffee, about 480-500 grams of water). 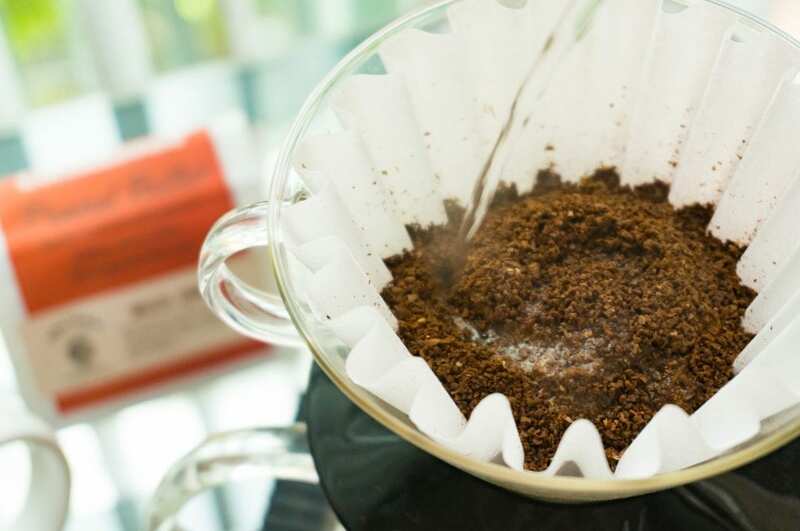 Many Kalita Wave recipes will call for incremental, or pulse pouring methods. I’ve experimented with a lot, and the only thing I’ve found to be a universal statement is that pouring gently is better. If you pour one long slow circular pour, that’s fine. But you can also fill up to a certain spot, wait for the water level to drop, fill again, etc until your each your goal grams. Either way, as long as you pour gently, you’ll get a better result. I’ve seen very amazingly done Kalita Waves where the barista poured steadily smack in the middle, no circulation. Why does the way you add water to the brewer have a smaller effect in the Wave? My assumption is that the flat bottom and multiple drain holes mean the dispersion of water in the brew area is irrelevant. What matters is getting the water in there gently. One thing you may find is that grinds get stuck in the waves around the edges. The way I used to handle this is to pour a few rounds around the edges to pour down those grounds. I believe this is a mistake. Unfortunately, a lot of the water you pour in that case just ends up down the sides and doesn’t extract coffee. But it’s still best to get those grinds down as much as you can. Velton (of Velton’s Coffee, featured in early Coffee Lovers Boxes), showed me a simple technique. Physically gently swirl the brew cone in circles to sweep the grinds down out of the waves with the water. Not only is it effective in getting all the grounds down into the water and brewing, but I believe I get a more enjoyable brew when doing that. Step 5: Wait and Enjoy. Approximate brew time of 3:30. Once you’ve added all your water, you just need to wait for the wave to finish dripping down. Your full brew time – of water in contact with the grounds – will probably be in the 3:30 range. I personally don’t measure my time anymore, though if I felt a need to troubleshoot my brewing technique, I would start doing that again. A quick note on your kettle: You can certainly brew with a tea kettle, but you may find the short wide mouth makes pouring into the wave gently a bit difficult. Do yourself a favor and get a gooseneck kettle (for all things kettle related, not just coffee, I now prefer a gooseneck for ease of handling and pouring). I do believe that the slower more precise pour of the gooseneck adds to the clarity and richness of coffee brewed in a Kalita Wave. Consider picking up a Stagg Pour-Over Kettle for the best experience and results. What makes the Kalita Wave unique? “More full and even extraction” is the general claim you’ll find. It’s difficult to show you exactly how that’s the case. Here are the main differences and how they probably result in that claim. The Wave’s flat bottom and 3 small drain holes result in a different behavior of the water than a typical cone-shaped brewer. Water won’t ‘channel’ in the Kalita Wave. As water flows through the whole ground bed it will find the path of least resistance and flow more through certain spots in the coffee. This is called channeling, and it results in some of the grounds being extracted more than others. Since the flow in the Kalita is restricted and not focused in a cone, the water sits longer, brews, and then eventually drips out after being filtered. The waved filters hold most of the brew off the sides of the brewer. This results in less heat transfer between the brewer and the coffee. It also allows more horizontal space for the expansion of the coffee – which supposedly aids in extraction. The filter paper is also thinner than most – this may result in more tastes ending up in your cup. If you hand brew at home, I highly recommend grabbing a Kalita Wave and enjoy the results.